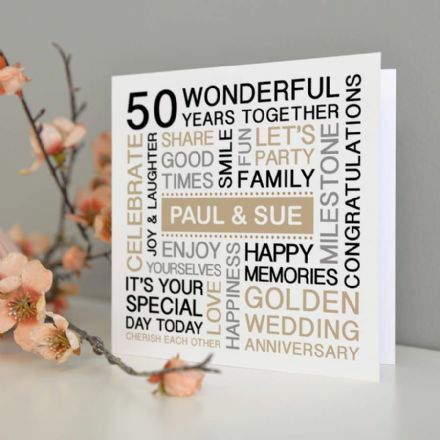 50 years together means a huge celebration! 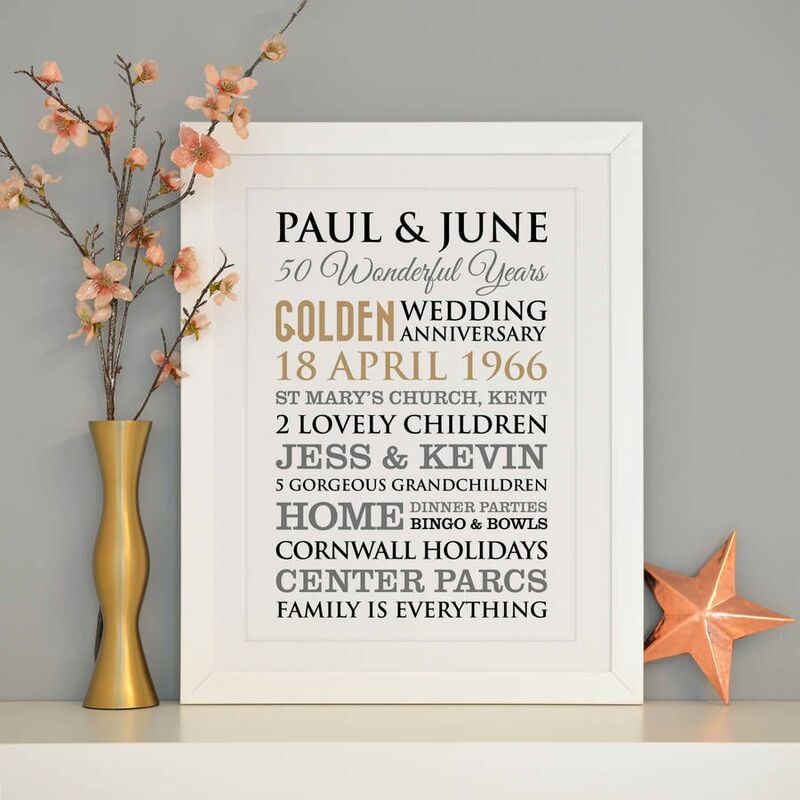 Always remind the special couple of their wonderful years together with a personalised piece of typography with all the information about them. A digital proof of your design will be sent to you by email when your artwork has been created. Here, you can make any changes you wish to your wording if you need to. WE WILL ADD THEIR NAMES ON THE TOP LINE, followed by 50 WONDERFUL YEARS on the 2nd line, and GOLDEN WEDDING ANNIVERSARY on the 3rd line. The remaining 9 lines are totally up to you! 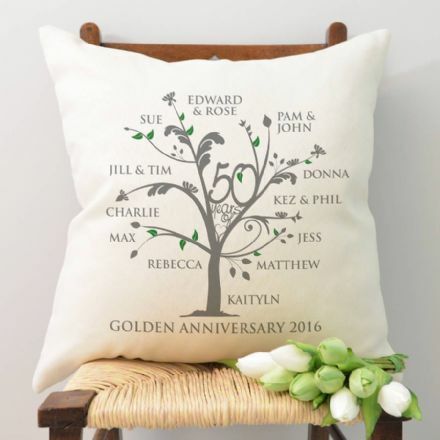 You can add their wedding date and venue, holiday destinations over the years, children's names, grandchildren's names, houses and places lived, favourite things, just about anything that is meaningful to them and their 50 years together. Please separate your words/phrases by a comma so we know what words should be kept together. We are always happy to answer any of your questions. Please email us with any questions you might have by clicking here and we will get back to you as soon as we can! Framed & Mounted Prints: These are printed onto high quality photo satin paper. This is then professionally mounted onto thick card to prevent the print buckling in the frame. Our frames come with clear acrylic, not glass. The frame is 3cm in depth. Wall fixings are supplied. The print does not come with a mount, but is printed with a "mount effect" on the paper before it is framed. The composite frames come in 4 colours: black, white, gold & wooden.